The challenge - take a historic 19th century house in a glamorous beach community, double its size to accommodate a growing family, bring it into the 21st century with the most advanced new services and technologies, and make it seem like it has always been this way. We have long believed that each project has its own unique life and requirements, and advocate in our practice that satisfying those requirements comes first for a successful outcome. If the best solution for a project dictates that our work be indistinguishable from the original, then we will make our intervention invisible. In this case, we restored an old structure that had not received care over the years, inserted a state-of-the-art green heating and cooling system, and added several thousand square feet of space, all the while satisfying stringent town regulations, and in the end making it seem as though we had never been there. Different functions determined hierarchies and offered a variety of experiences. We developed three entry facades - in essence three fronts - to distribute distinct zones of activity around three sides of the house. The formal street facade with port cohere was restored to its original while a new garden front was created to give order to the major addition and face the pool and garden. Finally, the natural informal entrance to the kitchen and family room was augmented to reflect its status as the daily front door. 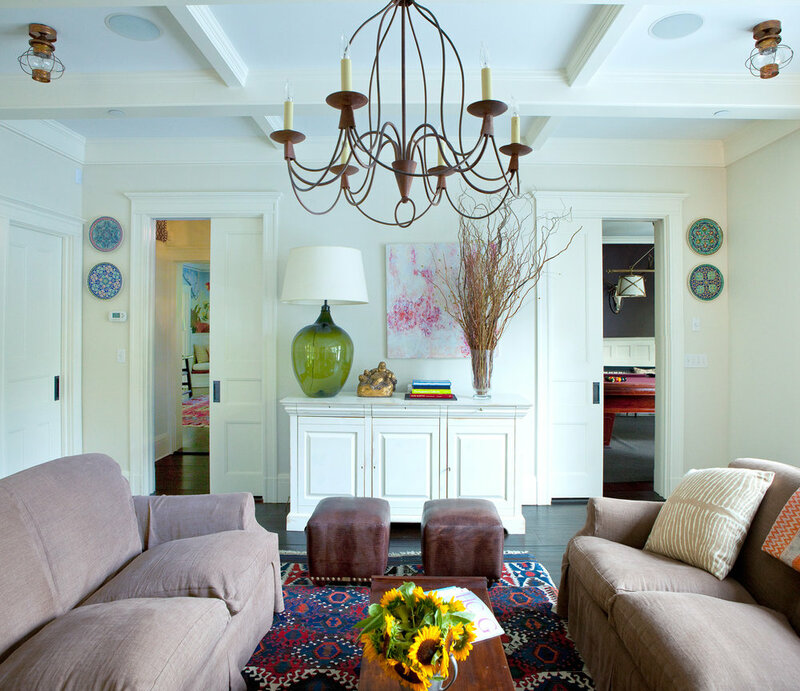 The house is always alive with friends and family so we paid particular attention to the ground floor flow. Rooms connect comfortably for easy mingling and entertaining, and porches lead to the pools and gardens. 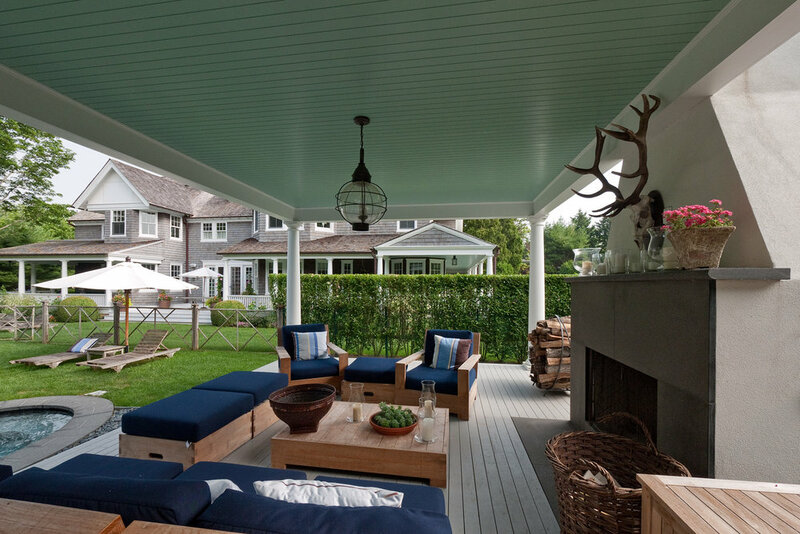 A tea house was added to extend the garden porch creating an outdoor room that is the center of summer fun. Lively interiors carry over the eclectic influences of the 19th century mixed with the relaxed comfort required for today’s weekend living. 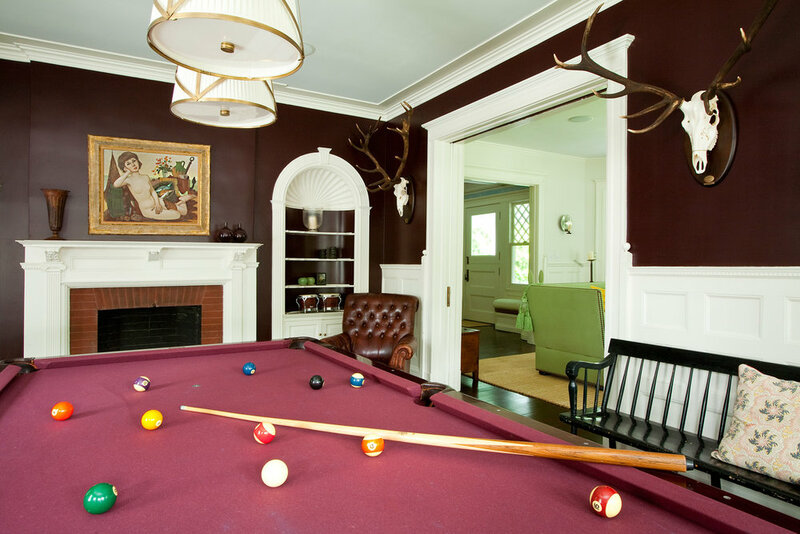 To continue our disappearing act, we replicated traditional detailing and materials on old and new. Cedar shingle siding and redwood roof shakes continue the historic palette and were stained to reflect some weathering. 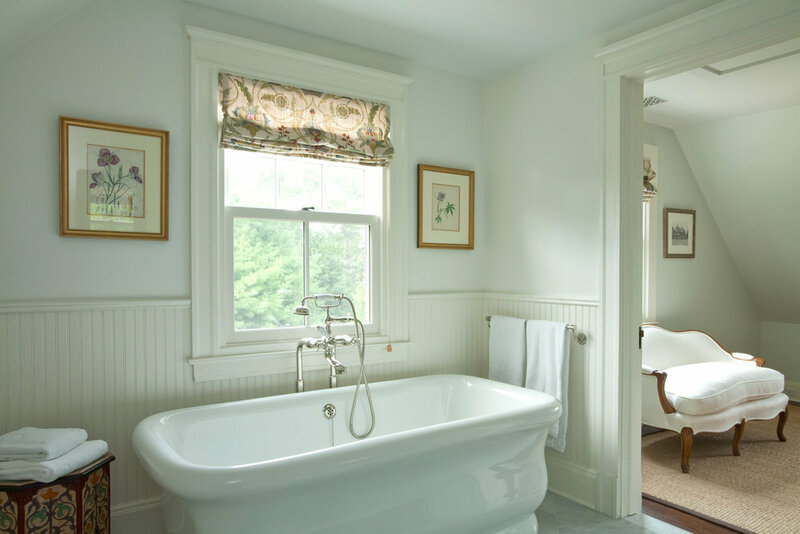 Trim was painted to match a historic white that had been used decades before.